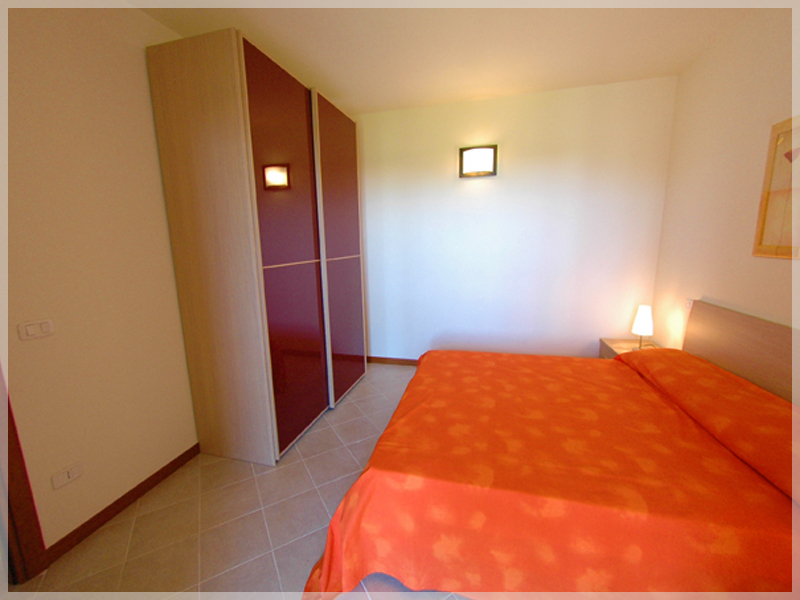 The Apartments Castiglione della Pescaia at Residence Cernaia are divided into two types, three and four bedrooms. 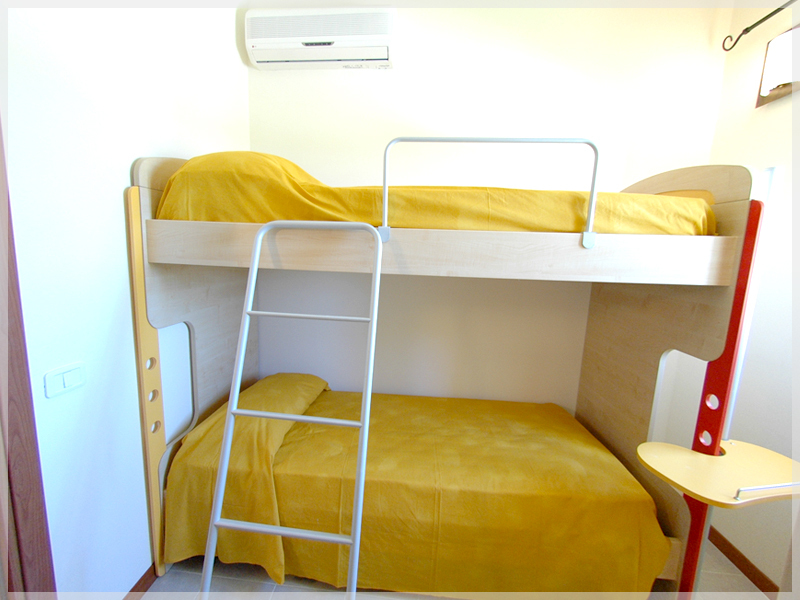 All furnished with taste and style in the name of a stay full of every kind of comfort. 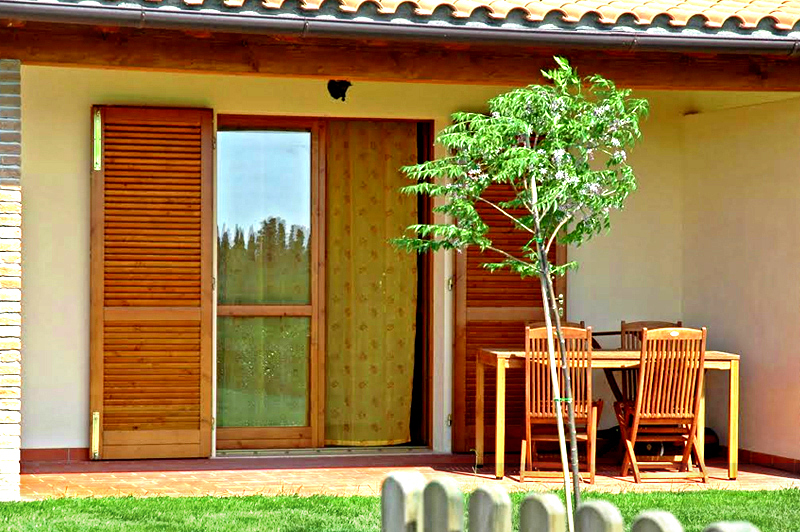 Bright and spacious all of them have a private entrance, garden and roofed veranda where you can spend hours of absolute relax, immersed in the colors and scents of nature, surrounded by breathtaking scenery. 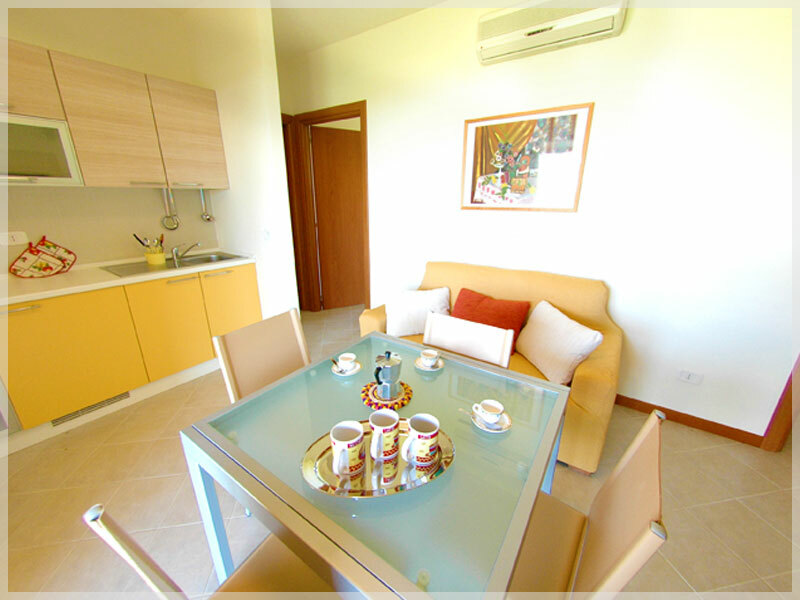 The Cernaia three-bedroom apartments are arranged completely on the ground floor. 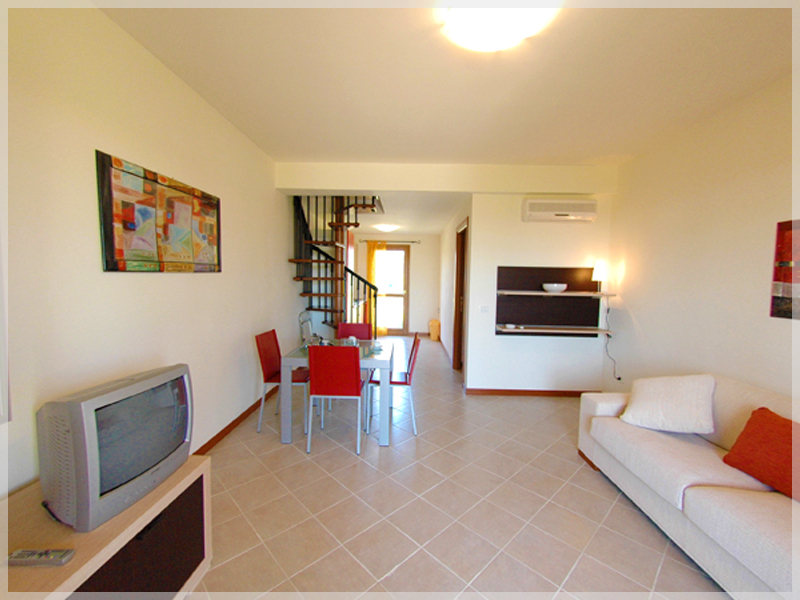 All of 50 sqm with air-conditioned, the apartments are equipped with private entrance and front and back garden. They are composed by living room with kitchenette (equipped with kitchen sink, mini fridge, 4 hot plates and equipped with dishes and cookware varied), living area with sofa bed and TV, two bedrooms, and bathroom with shower. 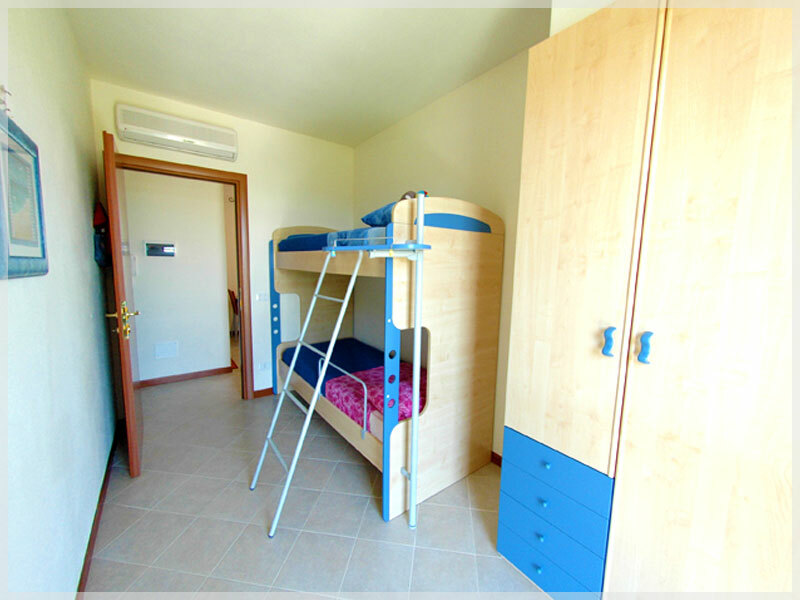 The three rooms apartments are diversified as they are all equipped with two bedrooms, but some in the second bedroom with two bunk beds and the other a second double bed. The covered veranda is furnished with tables and chairs. The Cernaia four bedroom apartments are located on two floors with a total of about 80 square meters. 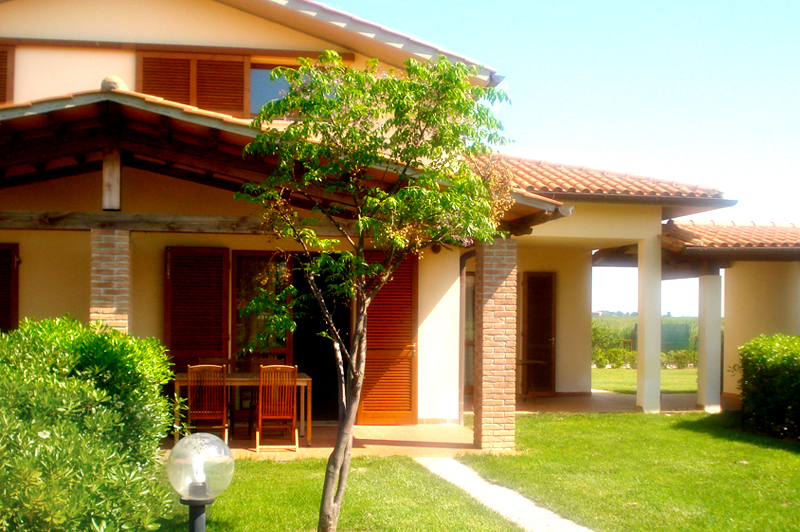 All with private entrance and double-sided garden about 150 square meters. 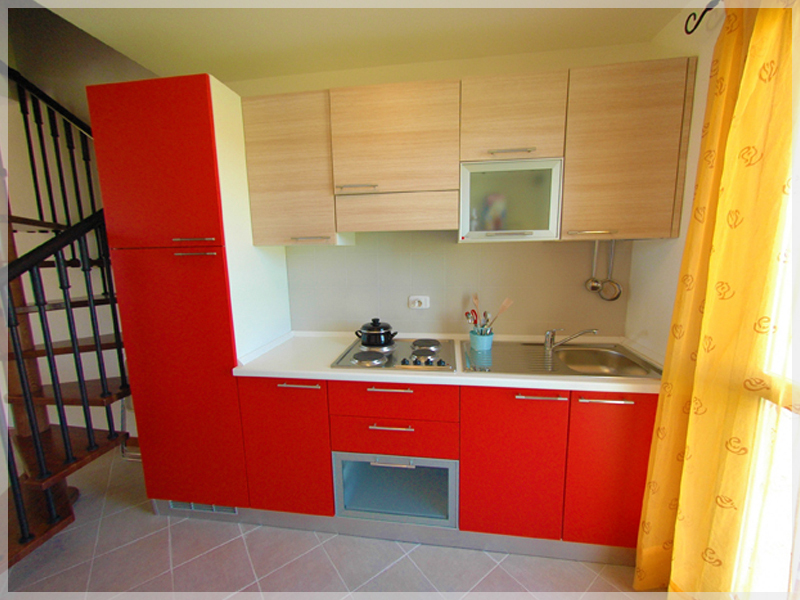 They are composed as follows: on the ground floor there is the spacious living room with kitchenette (equipped with kitchen sink, refrigerator and freezer, 4 hot plates and / or gas, dishes and cookware varied), double sofa bed TV, a double bedroom and bathroom with shower. On the first floor, which is accessed via a spiral staircase, a double bedroom and a bedroom with two bunk beds and a bathroom with shower. Veranda equipped with tables and chairs.